You’ll get 1 MONTH FREE SERVICE with a 12-month subscription to EZWebPlayer! You save money right up front and simplify your bookkeeping by avoiding monthly charges on your credit card. Big savings, no extra costs, no hidden fees. Our annual discount actually hands you more than a month's free service! Here's how your savings add up. We encourage you to compare video player services and prices because, comparing apples to apples, EZWebPlayer has the highest-rated price/value relationship in the industry. Free players don’t offer the high-value features we do. And, over-engineered players are overly complex and far more expensive — many charge extra for streaming, extra bandwidth, and hosting. 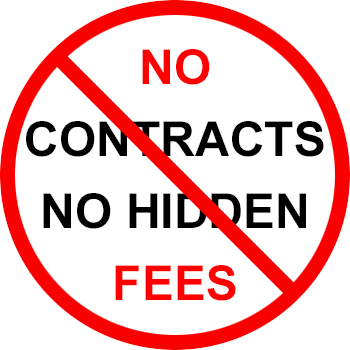 Our pricing policy: make it EZ, AFFORDABLE, and RIGHT-FEATURED…with NO EXTRA FEES! Here's our radical philosophy: We offer a great video player that's fully featured and EZ to use at affordable prices and back it with industry-leading Customer Service. We even offer everyone a 100% FREE TRIAL of our video hosting & sharing services which include live streaming; all without contracts. The result? People try EZWebPlayer— they like it— they sign up— and they STAY with us— all without contracts. Some of our clients have been with us since 2009. 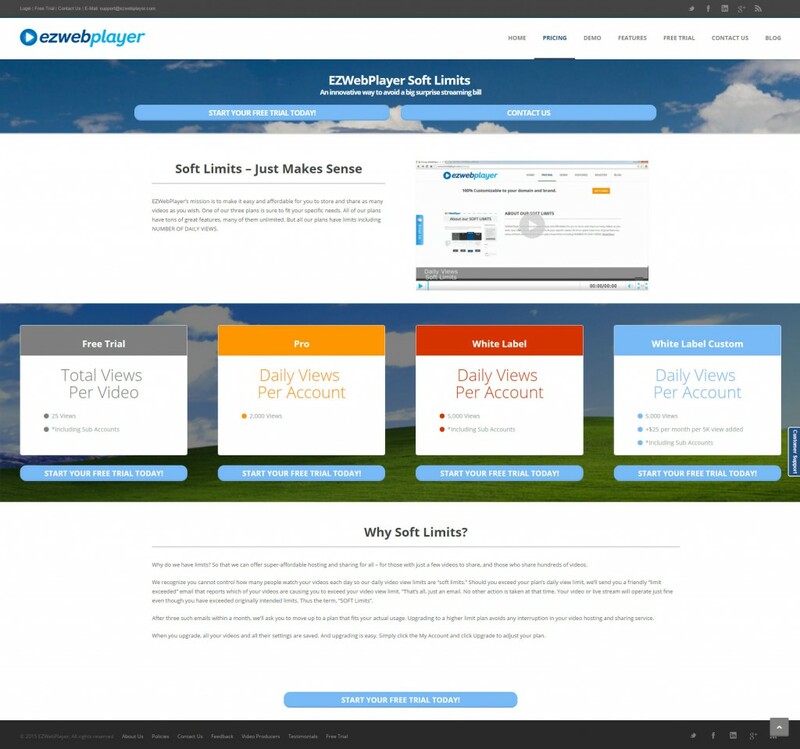 Try EZWebPlayer – the risk free, hassle free, paperwork free online video player! We at EZWebPlayer are constantly upgrading our software by adding and streamlining features and expanding our functionality. Every upgrade is made automatically with NO disruption to your service. 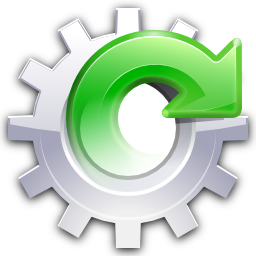 As we upgrade, you get automatic access to more tools, features, and flexibility WITHOUT having to reset any controls or make any adjustments. And, every upgrade applies immediately with no extra cost of any kind. EZWebPlayer’s mission is to make it easy and affordable for you to store and share as many videos as you wish. One of our four plans are sure to fit your specific needs. All of our plans have tons of great features, many of them unlimited. All our plans DO have some limits, including NUMBER OF DAILY VIEWS. To see the entire description of how "Soft Limits" works, click LEARN MORE.